The Centers for Medicare and Medicaid Services issued what they believe is the final version of the Place of Service rule for physicians effective April 1, 2013. Many teleradiology service providers are making changes to their billing procedures to comply with the Medicare Physician Fee Schedule. Confusion and the need for clarification of the Place of Service rule is prompting more members of the radiology community to seek outside help with the increasingly complex management of claims and accounts receivable. Patricia Kroken, FACMPE, is a former radiology practice manager and a writer for the Radiology Business Management Association (RBMA) Bulletin. In one Bulletin article, she discussed the advantages and disadvantages of in-house vs. outsourced radiology billing. Employment opportunities for healthcare workers have become highly competitive. You invest in quality non-physician personnel and training, then struggle to retain the employees who have demonstrated expertise and quality work ethics. Kroken calls the necessary compliance with labor laws, workers' compensation, the Occupational Safety and Health Act, Americans with Disabilities Act, Family and Medical Leave Act, a necessary "hassle factor," involved in managing in-house billing. Outsourcing eliminates the direct employment hassle factors and lowers your margin of error. Your outside billing company should have a history of experience, dependability, and success. Determine if you will have experienced people assigned to your account and if the company itself has a low turnover rate for its employees. Kroken says cost is often the deciding factor when weighing in-house vs. outsourced billing. If you are effectively tracking your collections success percentages and turnaround time for accounts receivable, you may want to re-consider the costs of training and keeping qualified personnel. In-house costs should be cheaper, but those numbers "can be deceptive," she adds. 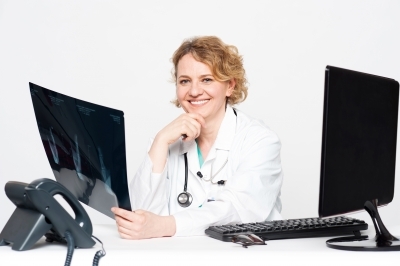 Administrative overhead, coding expertise, licensing, certification, and keeping your billing system software and hardware current is essential to your radiology company's well-managed billing system. This is especially true with the impending change to ICD-10. As you consider outsourcing, ask about their computer systems and their most recent upgrades. "You get what you pay for," and if your management professionals are being paid rock-bottom wages, you may be getting rock-bottom talent. Your billing company should be able to offer you a competent management team experienced in hospital-based radiology and billing. The advantage to outsourcing: Employee salaries and benefits are the responsibility of your billing company. Maintaining control of your accounts receivables and costs may be appealing. Not having the revenue cycle management function in-house may be a problem for many physicians. There's also a time-period "curve" needed for you to build trust and confidence in your billing company before you are comfortable with giving up the control factor. It's not completely about money. The very personality of your radiology group will determine whether in-house or outsourced billing is best for you. Kroken notes there are no risk-free choices, but with careful analysis and fact-finding, you'll be able to make the decision that's right for your team. Healthcare Information Services offers radiology-specific education resources for your company, including the free ebook, Effective Steps to Avoid Denials in Radiology Billing. We have more than 225 professional employees and over 30 years of success in the healthcare industry. Our company has consistently increased collection income and cash-flow for our clients by implementing a streamlined billing and collection process through an enterprise revenue cycle management strategy. We know that faster turnaround time and a more efficient cash-flow will help you maintain a predictable and consistent accounts receivable positioning your practice for sustainable success. Contact our radiology division or call (855) RING-HIS or (847) 720-7499 for additional information.